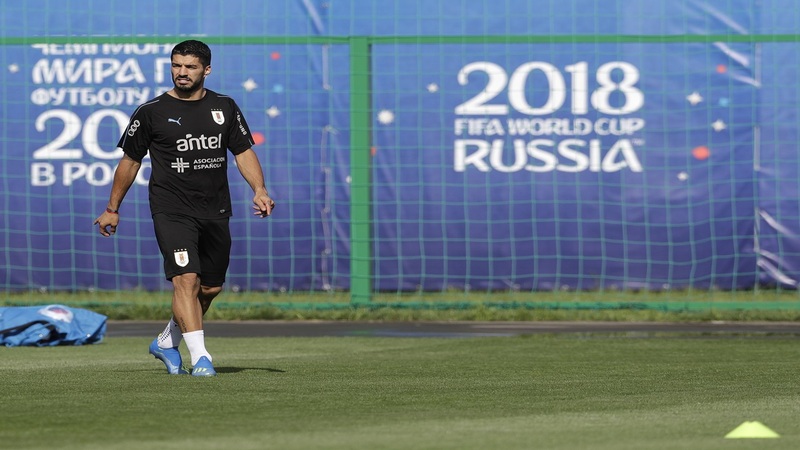 Uruguay's Luis Suarez arrives for a training session of Uruguay at the 2018 football World Cup in Nizhny Novgorod, Russia, Thursday, July 5, 2018. (AP Photo/Petr David Josek). 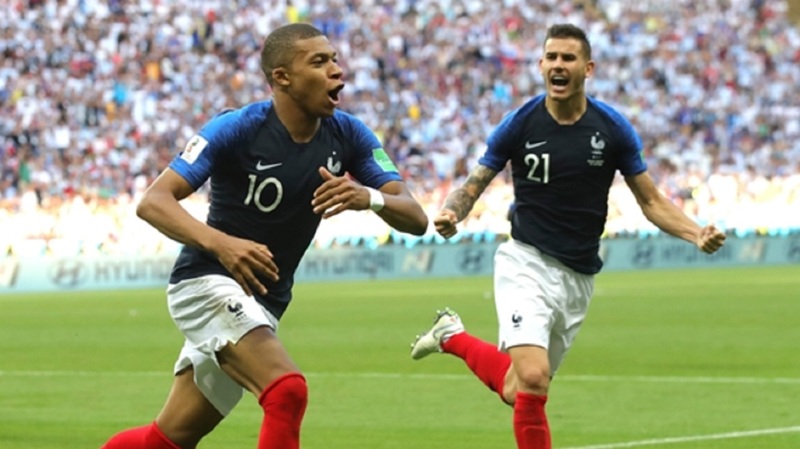 The first match features a number of teammates on their professional clubs facing off against each other when France take on Uruguay in Nizhny Novgorod. France forward Antoine Griezmann plays at Atletico Madrid alongside Uruguayan defenders Diego Godin and Jose Maria Gimenez; Godin is godfather to Griezmann's daughter. Those ties are so thick that Uruguay striker Luis Suarez needled Griezmann this week for trying to be Uruguayan. Suarez himself will find a Barcelona teammate on the other side of the pitch in French defender Samuel Umtiti. 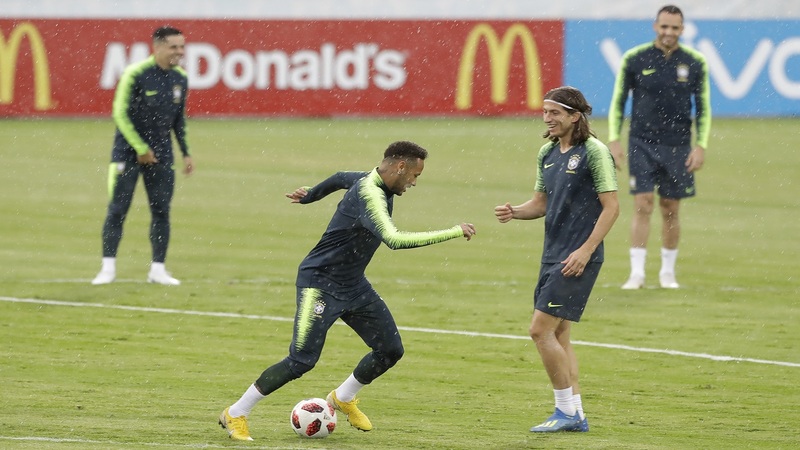 With so much talent on both sides, the late game in Kazan features even more intrasquad intrigue: Manchester City's Gabriel Jesus, Fernandinho and Danilo against teammates Vincent Kompany and Kevin De Bruyne of Belgium; Brazil's Willian against Chelsea teammates Eden Hazard, Michy Batshuayi and Thibaut Courtois, all Belgian; and Belgium's Thomas Meunier against his Brazilian teammates at Paris Saint-Germain — Marquinhos, Thiago Silva and Neymar. 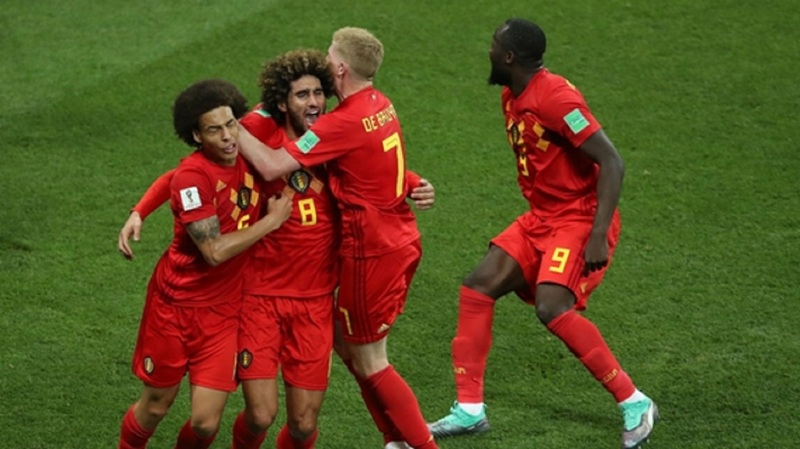 Belgium are scoring almost a goal a game more than any other team in the tournament, with 12 in four matches. Brazil, to the surprise of some, has allowed just one goal in their four games. Only one other team has been that stingy: Uruguay, which will face a France attack loaded with speed and scorers. In both cases, something will have to give. The most expensive player in the world has had a strong tournament so far and is the biggest star whose team is still alive. Some think Neymar could even win his first FIFA player of the year award if Brazil win it all. But he's increasingly catching grief about his flopping, diving and writhing around after minor contact. Will that prompt the referee to give the Belgian defenders more leeway, or will Neymar keep getting the calls?